In the downtown of Budapest there is a place where there is no winter! 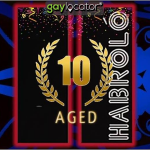 Talk, coffee, chat, party – the solution: Habloo! We are looking forward to a special, intimate atmosphere!